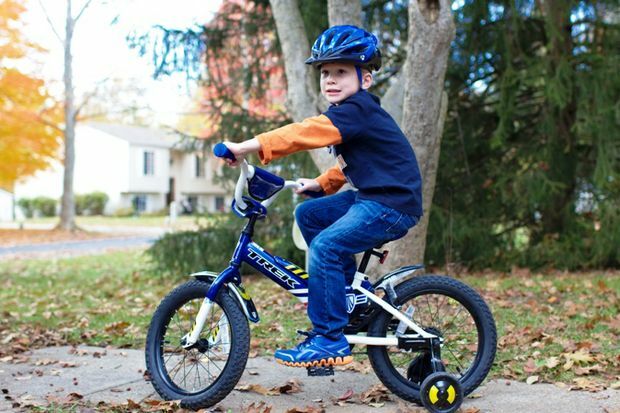 AAA East Central is teaming up with the Pennsylvania Department of Transportation (PennDOT), the Monroeville Police Department, and the Allegheny County Health Department by inviting young bicyclists to test their handling skills at the Bike Safety Rodeo! The goal of the event is to educate young cyclists about bike safety, promote safe riding techniques – and to do so in a fun way, offering prizes and giveaways to participants. At the Bike Safety Rodeo, children (ages 5-12) will ride through a specifically designed “Skills Course”, have their bicycles inspected for safety, have their helmets properly fitted, and stop by the educational section for important information. PennDOT will be handing out a limited amount of bike safety kits, and one lucky participant will be chosen to win a $150 gift card for a brand-new bicycle. “With young children getting on their bicycles for a ride around the block with their friends, this time of the year is as important as any other to enforce making safe choices behind the handlebars,” continued Anthony. AAA East Central is hosting the Bike Safety Rodeo on Tuesday, July 31st from 10 a.m. to 1 p.m. The Monroeville AAA Branch Office is located at 2725 Mosside Blvd., Monroeville, PA.